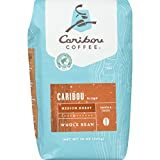 Caribou Brewed Coffee is found at Caribou Coffee Shops located in 500 locations mainly in the USA. Their brewed coffee is brewed fresh every hour and varieties are rotated seasonally. 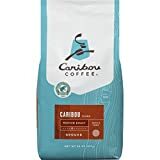 Caribou Brewed Coffee comes in several different variations including "The Depth Charge", which aslo includes a shot of espresso for even more caffeine. Our Complete Caribou Caffeine Guide is found here. 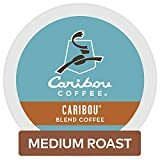 Caribou Brewed Coffee contains 19.06 mgs of caffeine per fluid ounce (64.46mg/100 ml).